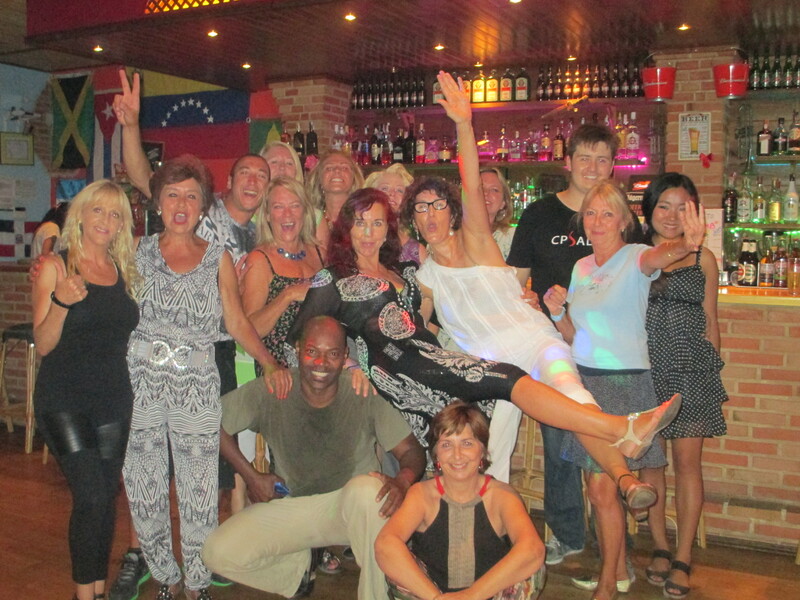 While Altea (Spain) always has many entertaining activities, summer brings additional fun offerings. Ever a music fan, I appreciate the variety of city-sponsored live bands playing at various outdoor venues, including 40’s style Big Band, jazz fusion with a Mohawk-sporting accordion and keyboard player, flamenco, regional (Valenciano) folk music, to mention a few. I also went to a rock jam session held on Sunday afternoon at a local tram station, which had an eclectic, inviting atmosphere. 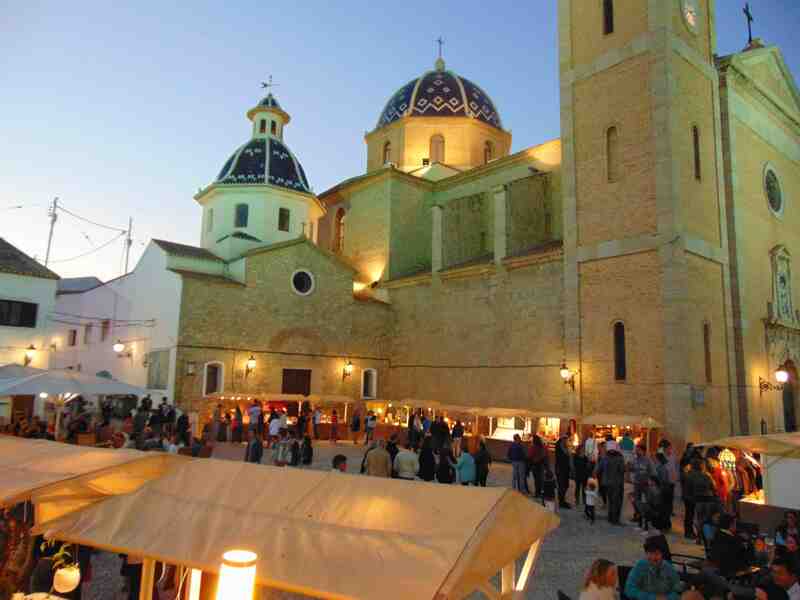 In Altea’s hilltop Casco Antiquo, (Old Town), the church plaza and the walkway to it, which are sparsely filled during the winter months (as exemplified my Facebook cover photo), are now packed with throngs of visitors and locals. 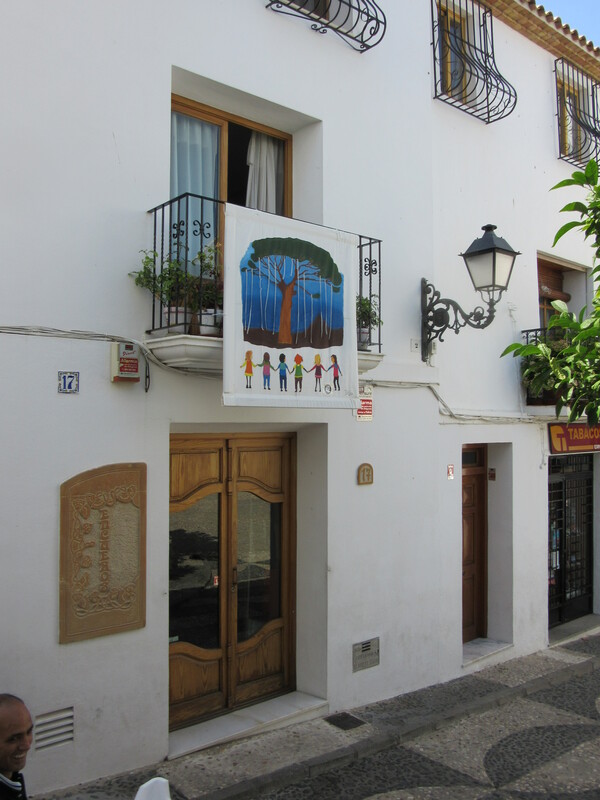 This month in Casco Antiguo there are a display of 60 painted murals by different artists which hang off balconies, hence named Balconades d’Altea. Also during the summer in Casco Antiguo, there are many artisan craft booths featuring various types of original art, jewelry, leather and more. Most restaurants in Casco Antiguo are open for the summer season, with many types of cuisine available such as Spanish, French, Italian, and other ethnic cuisines. In June, we had the San Joan (Valenciano) for St. John festival, which features water-inspired activities, including parades and midnight bonfires at the beach, which normally are prohibited. 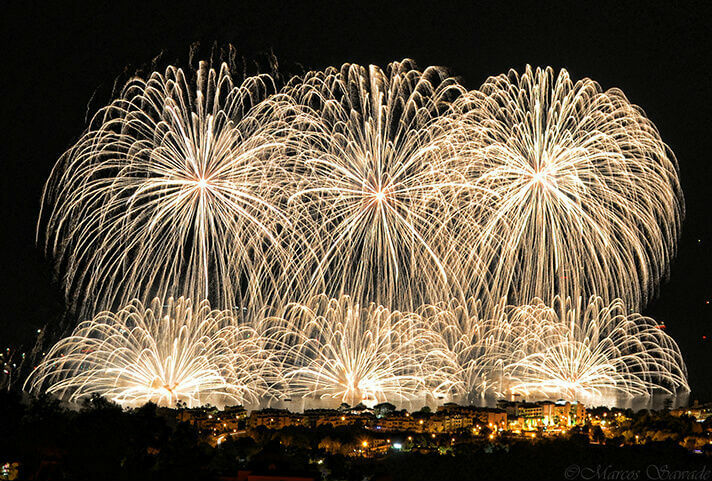 Another popular summer beach activity is the spectacular firework display, Castell de l’Olla, over the Mediterranean. People head down to the beach with beverages and/or picnics for the midnight show, which this year lasted over 30 minutes. Alternatively, people may watch the show from the comfort of their balconies or terraces, as I did, or a café in Casco Antiguo’s plaza. During the summer, many people enjoy going to temporary, seasonal chiringuitos, beachside bars/restaurants, which offer full service food and beverages with tables, and shade, if desired. I recently went to bonavida, a great chiringuito on the beach where I love their fried fish and seafood plate. (I recently posted a short video from it on my Facebook.) On many of the beach areas, there are lounge beach chairs and umbrellas available for rent. There are many water sports available with a number of seaside businesses offering such activities as snorkeling, diving, kayaking, boat rental, sailing lessons, fishing, kitesurfing, and more. I love snorkeling, and every Christmas school vacation, I took my three sons to warm spots with good snorkeling, such Australia, Belize, Hawaii, Mexico, and various Caribbean islands. 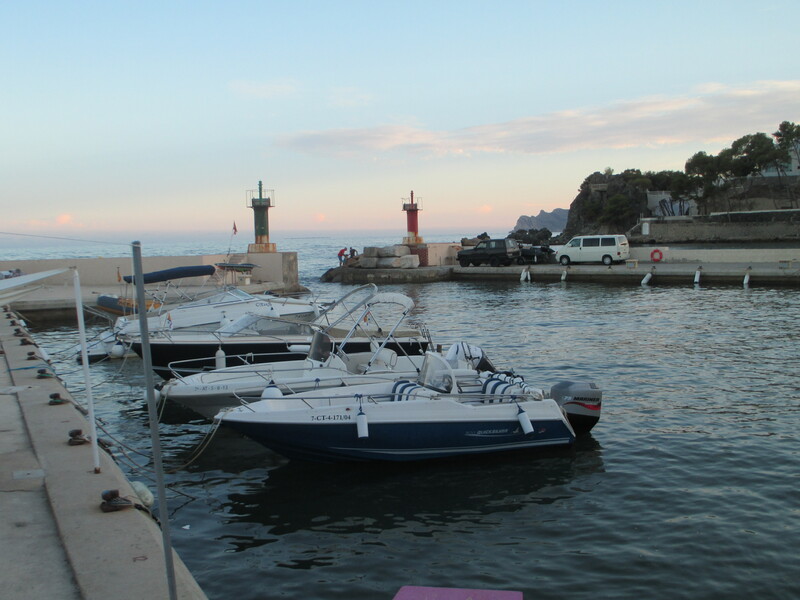 The Mediterranean in Altea is warmest in July and August, reaching 25C/80F degrees. For me, that is an ideal snorkeling temperature, so I scheduled a boat snorkeling tour this past week. It was postponed due to unusual rain, so I went the following day. The water was not as clear as I was hoping and the sea life not as vibrant to those which I am used to, but it may have partially been due to the recent rain. I enjoyed it anyway. There are also places to snorkel right off the beach without a boat. The dive center from which I took my snorkeling trip was located at Greenwich Marina/ Pueblo Mascarat. It was my first visit there, and I discovered new restaurants, and live music venues, including one, Macao, with outdoor lounge seating, which I plan to soon attend. lessons with Andres Ledesma so much, I took some small class private lessons with him. What are your favorite summertime activities?